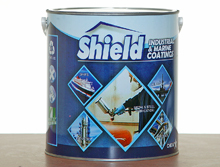 These are coatings for industrial applications and for marine environments. They come in various types and systems depending on performance requirements and area of usage. The range of products includes Stoving Enamel, Quick Dry Cellulose Enamel, Quick Air Dry Enamel, Floor Paint, Marine Akyd Enamel, Chlorinated Rubber Paint, Road Marking Paint, Epoxy Paint etc.